Hamilton Cline has spent years drawing his fellow Bay Area Rapid Transit (BART) passengers on his morning commute. Hamilton, a computer programming teacher at the Academy of Art in San Francisco, has been drawing from a very young age. He started off copying drawings in comic books as a kid, and by the time he was 16, he was working professionally as a caricature artist in theme parks. 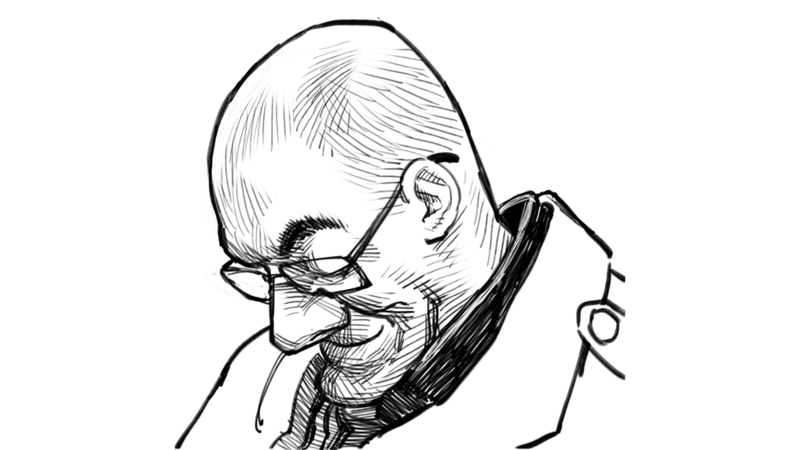 Now, he uses that same skillset to create quick, 15-minute caricatures of people on his commute. And while he started in sketchbooks, these days, you’ll usually find him drawing on his Samsung Galaxy Note 5 or his Microsoft Surface Book 2, trying out the newest software. Image: A portrait made in Infinite Painter on Hamilton’s Samsung Galaxy Note 5. He also uses his reach on Instagram and YouTube to teach others about drawing, especially on screens. “I like to share knowledge, process, and just generally put out into the world one more way of doing things,” he says. Image: A quick portrait of Marilyn Monroe made in Infinite Painter on Hamilton’s Samsung Galaxy Note 5.